Sustainability is firmly on the agenda in university boardrooms. However, the push to become more sustainable is also being fed upwards from an ever more aware student population. The awareness and engagement of students and staff has led to a huge rise in popularity of plant-based eating, locally sourced food, a war on plastic and increased recycling. It’s the everyday things that matter, studying, eating and socialising; behaviour change across all of these areas is being driven by greater knowledge and awareness, and the opportunities to make more sustainable choices are abundant thanks to the work of campus services professionals. Over the last 5–10 years the sustainability agenda has taken a huge leap forward in UK universities. Reducing our carbon footprint by finding locally sourced food was one of the early issues to hit a chord. In 2014, Harper Adams University won the CUBO Innovation in Student Experience Award for its work on sustainable development and environmental consciousness. 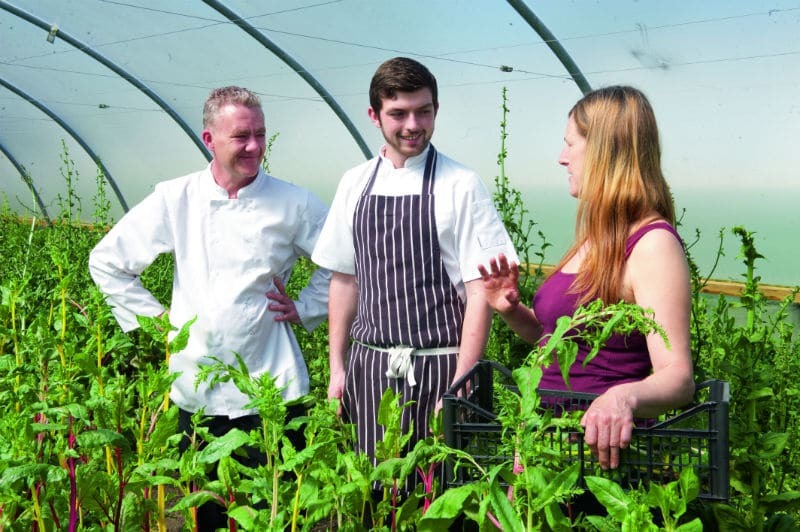 With core studies around sustainable farming, land, animals and the food chain their ‘farm to fork’ ethos was a trailblazer, embedding sustainable living into the student experience. It would be difficult for many institutions to operate such levels of self-sufficiency (Harper Adams uses its own livestock to feed catered students on campus) however the awareness of how and where food is sourced and the desire to minimise food waste has flourished in recent years. Changes at other universities have been afoot and now a number of great stories are emerging. Take Oxford Brookes for example. 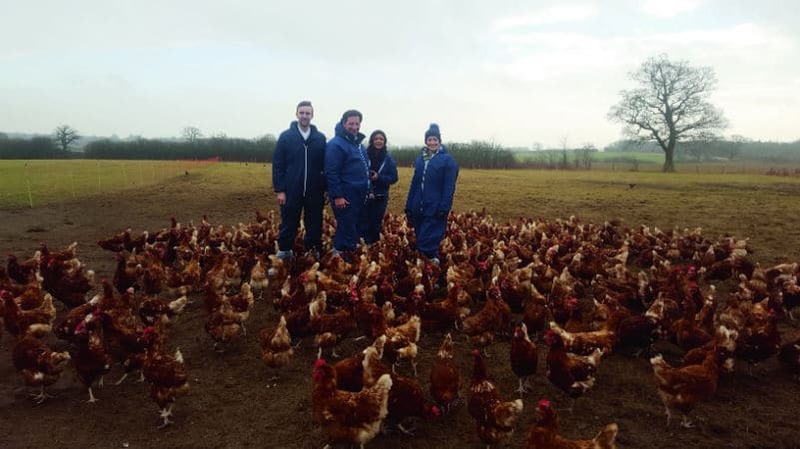 Four years ago the University went on the hunt for a local, free-range egg supplier. They found Mayfield Farm, a small family-run business just 4.5 miles away from Oxford Brookes. Finding Mayfield Farm proved to be a catalyst, sparking their mission to source as many of their ingredients locally as possible. Today more than three-quarters of their fresh meat, fruit, vegetables and milk are sourced from local and UK suppliers. The University uses only Fairtrade coffee, cocoa, sugar and bananas. Its homemade cakes use British flour, milled in the UK and its milk is UK-produced. Building on its status as the first Fairtrade university in the world Oxford Brookes achieved the highest three-star rating with the Sustainable Restaurant Association in 2017. Alongside a focus on how food is sourced, what they are eating has become equally important to students. A move towards plant-based eating has grown, with a proliferation of vegetarian and vegan options springing up across university campuses. The University of Sheffield recently launched ‘The View’ deli as a vegetarian and vegan specialist café with successful results seeing sales increase by 6% and food exported to other outlets across campus. Sheffield Hallam University introduced a Deliciously Nutritious range developed in consultation with nutrition students and Harvest, an innovative hot salad and vegetable lunch. These changes have seen year-on-year sales growth of over 18% in their flagship outlet. The war on plastics has become a big issue on UK campuses, particularly against the much-demonised single-use plastic cup. Commercial services staff across the UK have been engaged in the hunt for sustainable products to replace plastics. When Jon Greenwood, Director of Commercial Services at the University of York, found the ideal biodegradable and reusable cup made from Bamboo, he found that a large order could offer significant savings. Using the CUBO forum, Jon put his idea out to members seeking other institutions to share in the deal. By joining forces, York, Manchester Met, University of Wolverhampton and University of Bath were able to purchase the cups for £2.50 each rather than £6, saving almost 60%, a significant amount on the total order of 17,000. The value of shared buying power is clear and the order book is still open with others hoping to join in. The rapid uptake of sustainable products owes much of its success to powerful marketing campaigns across campus. The University of Brighton had success with a similar campaign and the introduction of a new bamboo cup. Within the first year of the campaign over 4,000 ‘MyCUPs’ were sold, significantly reducing the number of cups thrown away. The campaign received praise from Hugh Fearnley-Whittingstall and with his backing and working closely with Brighton and Hove council, the campaign has spread throughout the community. Sustainability projects have also helped to improve community relations in Manchester. The impact of 70,000 students vacating their accommodation at the end of each year, leaving lots of recyclable/reusable items on streets, had in the past caused numerous resident complaints. The Give It Don’t Bin It (GIDBI) campaign is a scheme that encourages students to recycle unwanted items at the end of term. GIDBI is a multi-stakeholder, collaborative campaign between The University of Manchester, Manchester Metropolitan University, Manchester City Council & Manchester Student Homes. Through the scheme, over 26,472 bags of unwanted items were donated in 2017, resulting in a £74,500 saving from landfill. 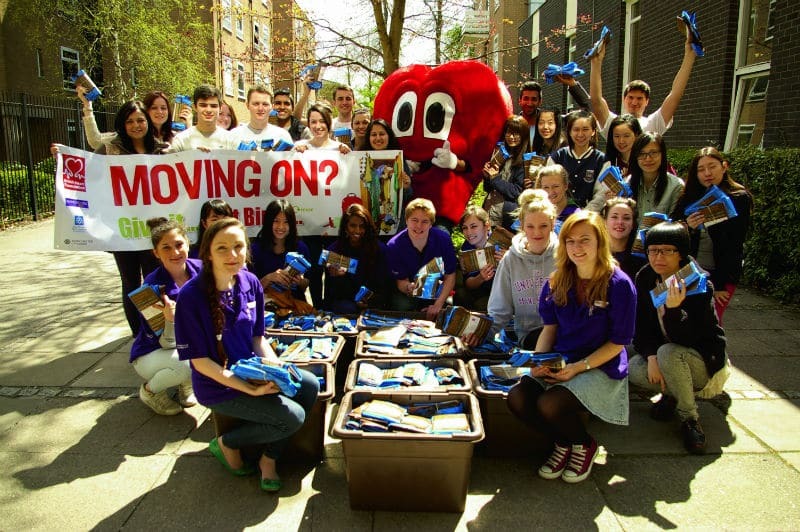 Since 2012 GIDBI has raised over £1.3m for the British Heart Foundation – the first university partnership in the UK raising over £1m as an end-of-term reuse/recycling scheme. The University of Manchester strongly believes that embedding sustainability and social responsibility within their business gives them a competitive advantage. “Students and staff are very aware of our commitment to this agenda, which creates loyalty. They prefer to use our catering and outlets as they know we are environmentally responsible, look after staff and pay the National Living Wage as a minimum. Some of our initiatives have definitely supported our bottom line,” said Alison Shedlock, Head of Hospitality and Events at Manchester. Their waste strategy in catered halls has had a positive impact on margins. Students are not filling their trays and throwing food away that they are not eating. Students help themselves to portions they want to eat, and scraping their own plates makes them very aware of their wastage. “This has allowed us to keep our margin in line in an ever-challenging market.” Alison added. Acting more sustainably and turning waste into value is a happy marriage across campus services. Under pressure to cut costs, finding innovative new ways to use fewer resources at the same time as increasing margins is a challenge, but one that is being embraced. Sharing knowledge and best practice through CUBO and other networks is hugely beneficial for institutions, their students and the environment.